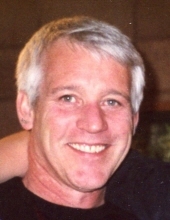 Kevin Pursell, 60, passed away after his courageous 3 year battle with cancer, January 25, 2019. Kevin was a loving husband, father, son, brother and friend. He was born on May 19, 1958 (on his mother’s birthday) in Boise, ID to Dave and Betty Pursell. A celebration of life will be held on Monday, February 18th at 3pm, at The Lutheran Church of The Good Shepherd. He graduated in 1976 from Billings Senior High and attended MSU. Throughout his career he enjoyed several sales positions with different companies; Kevin loved calling on his current clients and making new ones, many of who became his friends. He had been a member of the Elks Club, also a member and past president of Montana Office Machine Dealer Association. Kevin enjoyed camping, fishing, cooking, baking bread, playing games and spending time with friends and family. He was very easy going, well liked, always had a smile for everyone that he met and was known for his kind, compassionate spirit. Kevin had a green thumb and was great with gardening and plants. Kevin and Jan loved to travel and went on several cruises, meeting up again with couples that they had met on previous trips. Their favorite vacation was to Roratonga, in the Cooke Islands where they met and became great friends with several of the Islanders. While there, they joined the Rora Golf Club and hung out at the fishing club with their new friends; Kevin even had his own honorary taro patch in Roratonga, which he was very proud of and always planned to go back and visit. In his younger years he was on bowling and golfing leagues with all of his buddies. Kevin was preceded in death by his father, Dave Pursell and his mother-in-law Marvelle Cole. He is survived by his wife of 34 yrs, Jan and son, Konnar; mother, Betty Pursell; brother, Terry (Deb) Pursell; nephews Aaron and Brad; sister Kindra (Ken) McMullin; nieces Amanda and Anne; father-in-law, Ralph Cole; sister-in-law Sandee Cole; brother-in-law, Steve (Pat) Cole; nieces Muri and Alex; sister-in law, Susie Cole. Kevin loved animals, so in lieu of flowers, memorials may be made to Billings Animal Rescue Kare (B.A.R.K) at 4017 1st Ave S, Billings MT 59101. To send flowers or a remembrance gift to the family of Kevin David Pursell, please visit our Tribute Store. "Email Address" would like to share the life celebration of Kevin David Pursell. Click on the "link" to go to share a favorite memory or leave a condolence message for the family.